Grammy Award® and BRIT Award®-winning artist, Justin Timberlake, is poised to release his new album The 20/20 Experience on March 18th through RCA. 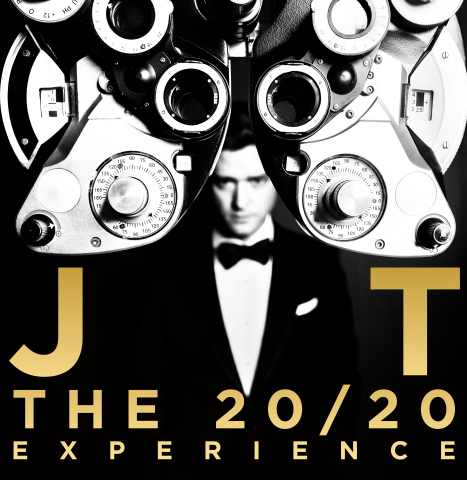 The pre-order for The 20/20 Experience went live today and fans who pre-order the Deluxe album via iTunes will receive an instant grat track entitled ‘Mirrors’ (available here http://smarturl.it/JT2020). Justin recently announced he would be performing at Britain’s most prestigious awards show, The BRITS on February 20th. This world exclusive appearance will be the first time fans will get to see Justin perform ‘Mirrors’ live. The three time BRIT Award winner marked his return to music at the beginning of this year; when he wrote an open letter to his fans letting them know he was gearing up for a big 2013 with the release of The 20/20 Experience. Since then the world has witnessed Justin-mania with the album’s first single ‘Suit & Tie featuring JAY Z’ dominating the charts worldwide (number 1 on the iTunes single charts in 31 different countries including the UK) and smashing US radio airplay records earning Justin his best first week sales ever. Justin is an international music icon and over the years he has had eight BRIT Award nominations. In 2004 he won Best International Album and Best International Male as well as giving the BRITs one of their most memorable performances to date – performing a medley of tracks from his debut album ‘Justified’ as well as dueting with Kylie Minogue. In 2007 he once again picked up Best International Male.